Poison Free 12-month Home Mouse proofing warranty! Denying mice entry to your home is the first and most important step in eliminating them. 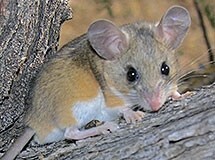 We offer “NO POISON” total mouse elimination with guaranteed results. Serving the Portland Metro Areas including Hillsboro, Beaverton, Tigard, Sherwood, West Linn, Lake Oswego, Wilsonville, Gresham, Milwaukie, Gladstone, and other surrounding areas. 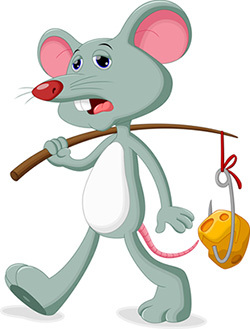 Stay away from any company that puts out bait and assures you that the rodents will leave your house and go to water. This is total BS. We use no bait. We seal the entry points, trap the mice that are inside, and guarantee the results for one year! We are the only Mice Exterminators in Portland that offer Professional Exclusions with this guarantee. Nature First Pest Control is the only company that will take the time and effort to find all of the mice entry points and seal them. Then, a trapping program is much more successful, and our clients can really be mouse free. We document Mouse damage to your Crawl Space, Attic, and Insulation. Why a Mouse infestation can be worse than Sewer Rats in Portland Oregon. There are many more of them. They invade more homes. They do much more damage. They contaminate food and they spread more diseases. And they are harder to completely exterminate than larger rodents. The common House Mouse is usually the first rodent invader of our homes. Openings as small as a peanut will be used by mice to gain entry. These small openings are caused by installing plumbing and utilities, remodeling, and flaws in the original construction of the building. Garage door seal defects allow mice access to the garage, and poor workmanship around furnaces and plumbing in the garage allow them access to the crawl space and the rest of your house. 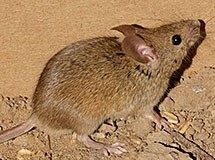 The Deer Mouse is a native to Portland and is found on the edges of the city where there is some green space or more wild areas. We have watched deer mice run right up a brick chimney to gain access to an attic space. The attic has lots of dead insects and wasp nests for their protein source, and deer mice feel right at home nesting in and destroying the insulation. Poisoning mice can backfire on homeowners. If a mother mouse is nursing a litter in a nest, and gets poisoned, the resulting dead bio mass will really stink. These nests are usually deep in walls where they may have to be cut out, if they can be found at all! Pet and chicken owners beware, there are several poison baits for mice that have no antidote. Animals, especially birds, can be poisoned by consuming the poisoned mice or just pecking at the eyes or blood of the dead mouse. This is a reason Raptor Shelters no longer accept live mice as donations for their hawks and other birds of prey. If you catch mice to release, do not use poison at the same time, and don’t just dump them outside because they will try hard to get back in. Trapping mice can reduce a population, but you have to keep changing the methods to prevent the mice from becoming trap shy. Call our Mouse Detective for FREE Detailed Consultation and Inspection with Pictures. Green Pro Certified Eco-Effective Pest Control, using Sustainable, Organic, Natural and Green methods. We safely control Mice in and around Portland area homes and businesses. We are leaders in Natural, Green and Organic Pest Control in Portland. We always try to exterminate naturally.